These are all new in the Shop today! Tomorrow I will have a sneak peak of items coming next week. Hope you are having a wonderful Thursday! so cute beth! 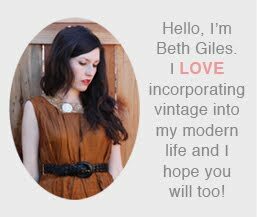 i can't wait until i get my pre-pregnancy body back and can finally start investing in some cute vintage wear! soon...i hope!